Awareness of solar has never been higher and pricing never lower, but people don't know where to start. So they look to trusted resources, like beloved brands, to guide them in the right direction. EnergySage hosts the largest amount of solar educational resources available today. We do not favor a particular vendor and the information we provide is unbiased – we're simply focused on being comprehensive and consumer-friendly. Guide your audience to our resources so they can go solar with confidence today! Because EnergySage is a trusted solution, corporations throughout the country have used the Marketplace as a platform for offering a simple, actionable solar option. In addition to all of the great features for consumers, EnergySage offers marketing materials and reporting tools that help corporations communicate their message and easily track campaign performance. Solar programs with EnergySage have some of the highest engagement in the industry. They make contributing to the greater good easy for you and your stakeholders! Companies value the engagement with their employees and the environmental action. 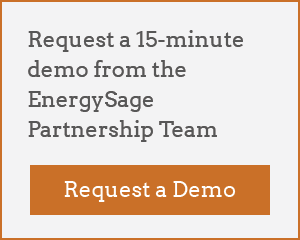 EnergySage offers a range of tools for your audience. EnergySage is the partner of choice for corporations. View our partner overview PDF for more detail about how EnergySage partnerships work.